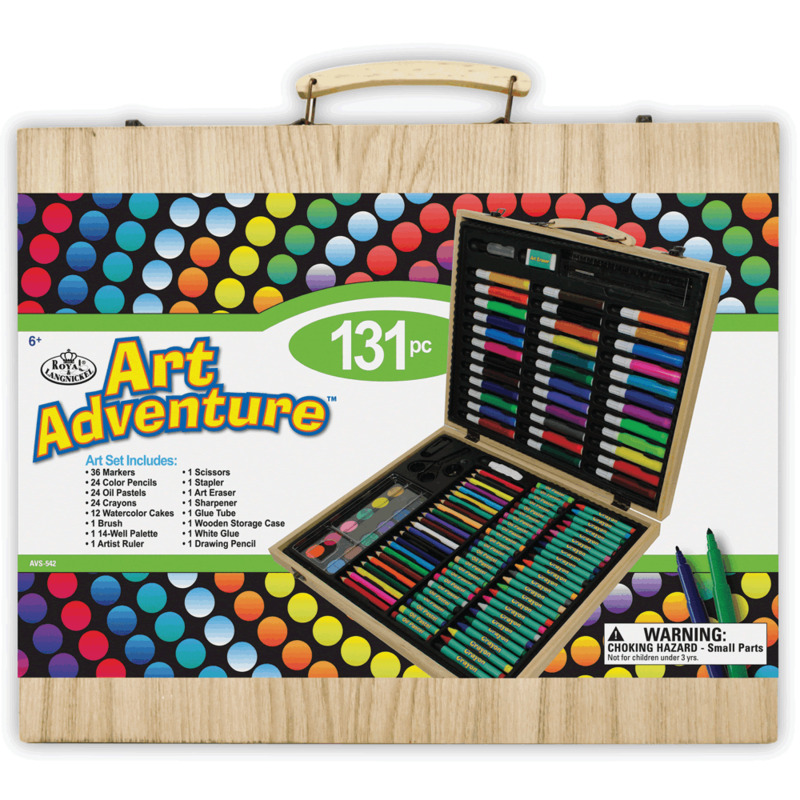 Our Art Adventure Art Sets give kids the tools they need to unleash their creative sides. These sets come packed full of fun art supplies for hours of experimenting and creating. The sturdy wooden case keeps supplies neat and protected during travel. Contents: 42 colour Pencils, 16 oil pastels, 12 mini colour markers, 12 watercolour cakes, 2 brushes, 1 sharpener, 1 eraser, 1 glue tube, 1 palette and 1 wooden case.